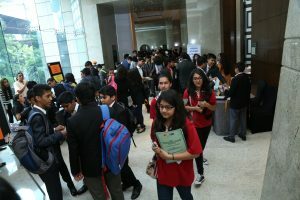 VHMUN is a spirited and rapidly expanding activity for many, but to a great many students, it means a bit more. 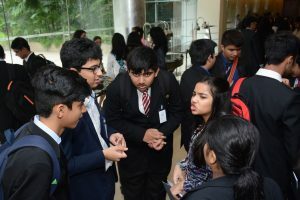 It is the wobbly steps that one takes initially which metamorphosises to ‘giant leaps’, helps students grow into leaders, discover their futures, imbibes confidence, and forms lasting friendships with people from all over the world. Every VHMUN conference teaches something new about the world, and oneself. People learn how to stand, speak, deal with others, delegate, deliberate, lead, write read and research properly, and so many other talents which would have remained a faded mirage in the horizon, had it not been for the VHMUN. When students shall turn the leaf in their book of life and look back at the time in high school, VHMUN will always stand out as their greatest achievement and the source of boundless fun, to such an extent, that they will call it ‘their finest hour’. 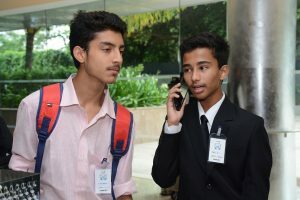 VHMUN is recommended for everyone who is interested in having a challenging, hectic and an enjoyable learning experience. 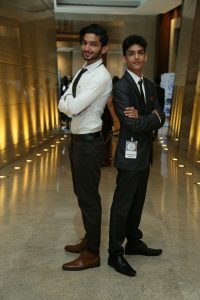 VHMUN has been an amalgamation of intellectual debate and unparalleled enthusiasm. It is a platform that has given my daughter the opportunity to step into the shoes of a young diplomat and perceive the world with a renewed vision. This was my first MUN. I was scared, but my Chairs ensured I was comfortable. It has been an amazing experience where I have made several friends. A simply outstanding show! I just wanted to thank the VIBGYOR Organising Committee and especially VIBGYOR High for giving me this opportunity to participate in VHMUN. It was a great experience to grow and learn personally and do what I love doing – DEBATING! 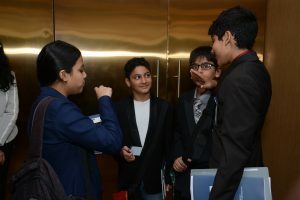 The delegates were extremely well versed with their research. It was so easy to get attached to my committee. I would love to come back for VHMUN 7 and help in whatever way I can. I think everyone did a great job and it was an amazing experience. It’s been a great experience over here, coming here and meeting and knowing people and about the world. 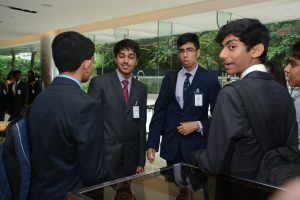 The VHMUN 5 has indeed been a very enriching experience, involving high quality debates. The Chair, Co Chair and all the delegates were very knowledgeable. It has been a very enjoyable conference. The debates were stimulating. I will definitely be part of VHMUN 6. This was my first MUN. I was scared, but my Chairs ensured I was comfortable. It was an amazing experience where I made several friends. A simply outstanding show! This was my first MUN and I am so glad that I did it through VHMUN 5. 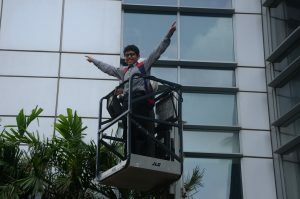 I had the most awesome and exciting three days of my student life. I hope I will participate in the VHMUN year after year. The overall VHMUN experience was enriching. The quality of the background guide deserves a special mention. The training sessions were undoubtedly outstanding in terms of quality and usefulness. The experience was awesome! There should be even more committees introduced next year. 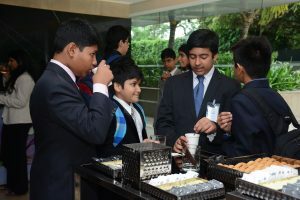 This was a perfect MUN conference, right from the opening ceremony to the closing. It was one of the best experiences of my life. It was amazing. I learnt a lot, not only as a delegate but also as a person. 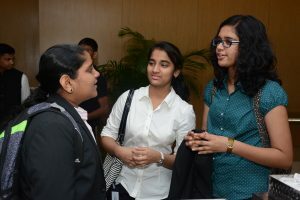 I really enjoyed participating in VHMUN 4.The ambience was perfect, the secretariat was accommodating, the delegates were interesting and well researched and the speeches of the guests were inspiring. To top it all I won the honourable mention as a delegate of Taiwan. What more could I ask for!